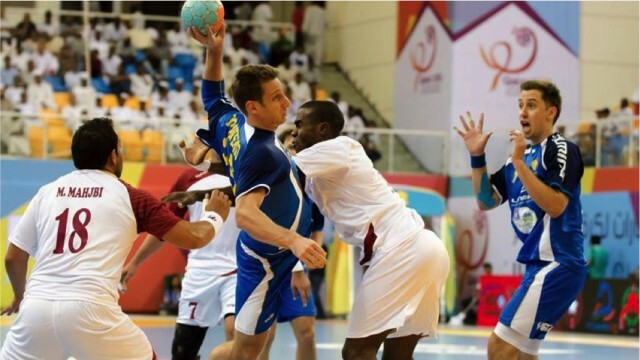 The final match of the group stage saw Sydney uni HC go up against El Jaish. Sydney had played the Qatari club on two previous occasions without success but after their previous match versus HSV Hamburg, confidence was high. Sydney was on the board first, but that would be the only time they would lead the match. Ineffective attacks versus El Jaish’ large Egyptian national team defenders and a string of swift counter attacks had Sydney down 20-6 at the break. The second half was no better than the first. The fatigued Sydney side struggled to reel in the deficit. The final score, 38-14, a real disappointment after the progress made the previous day. On other news, Sydney right winger, Silvio Alvim is set to have knee surgery early on Wednesday morning. Silvio damaged the meniscus in his right knee during the first half of the match versus Al Sadd. Our thoughts are with Silvio and his family, but we are confident of the operations success as it is being carried out at Doha’s state of the art Aspetar Clinic. Tomorrow is a rest day for the competition. The team will take the chance for some rest and relaxation as well as some sight seeing. 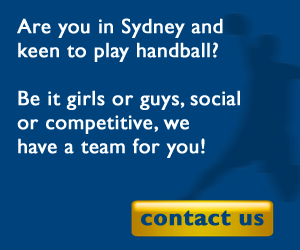 Thursday night Sydney uni HC will face Brazilian champions Taubate to determine their final placement match. The match will be at 2pm(GMT+3), primetime (9pm) viewing for those back in Sydney, follow via the Facebook page and join the conversation. Sydney Uni played with: Pfeiffer (3 saves), Gerstch (2); Ivankovic (1 goal), Hert (1), Pasquero (2), Lemann (1), Seemann, Lennstrom (3), Charpentier, Postbiegel, Lasek, Scholl (2), Szklarski (2), Llorente (2), Traverso.